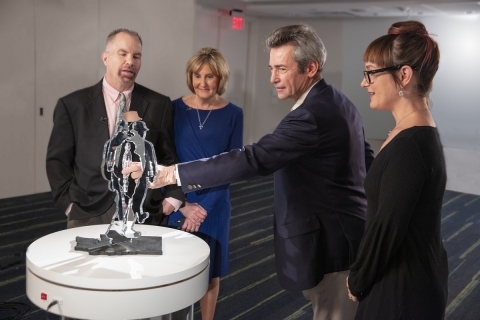 ARDSLEY, N.Y.--(BUSINESS WIRE)-- Acorda Therapeutics, Inc. (Nasdaq:ACOR) today launched Framing OFF Through Art℠, a new initiative that uses the power of art to allow people with Parkinson’s to help recognize and articulate their OFF period experiences. This initiative builds on Acorda’s “Live Well. Do Tell.℠” program, which was launched in March 2018. Many people with Parkinson’s experience OFF periods in which Parkinson’s symptoms re-emerge even though the person is on an existing treatment regimen. OFF periods affect about 40 percent of the approximately one million people with Parkinson’s in the U.S. The need for better dialogue about OFF period symptoms was originally highlighted in the “Live Well. Do Tell.”Statement of Need, a report developed based on insights from a multi-disciplinary steering committee of Parkinson’s community leaders.